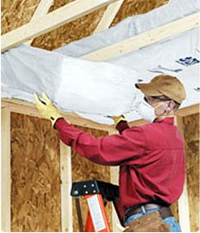 Whether it’s retrofitting an apartment community in Columbia or constructing a cul-de-sac of single family homes in Atlanta, Arango Insulation can provide you with the roof rafter insulation and contract installation you need to get the job done on time, every time. With incredibly quick turnaround times and unsurpassed reliability, Arango Insulation is unmatched in the quality of our insulation and installation services. Call or e-mail Arango Insulation today for more information on the roof rafter insulation we have to offer for your commercial project. We’re happy to serve companies throughout the Southeast and beyond, from Pennsylvania to Maryland, North Carolina, Georgia, Alabama, Texas, and everywhere in between. We also perform commercial roofing services.